Foxboro was founded on January 2, 1990 by Jim and Carla Hackstedt in a 900 square foot 2 car garage in Cedar Hills, Missouri with 2 used molding machines. 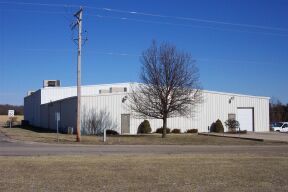 That same company today occupies a 28,000 square foot sophisticated manufacturing facility with 10 state of the art Toyo molding machines in Gerald, Missouri. When beginning their operations, Jim and Carla focused on 2 primary areas of business; customer service and quality, the same principles that guide their company today. All Content © 2003 Foxboro Industries Inc.